Somewhere in South Georgia not far from a cotton field and a hay pasture, Omaha Brewing Company was founded by a man known as "Doc." 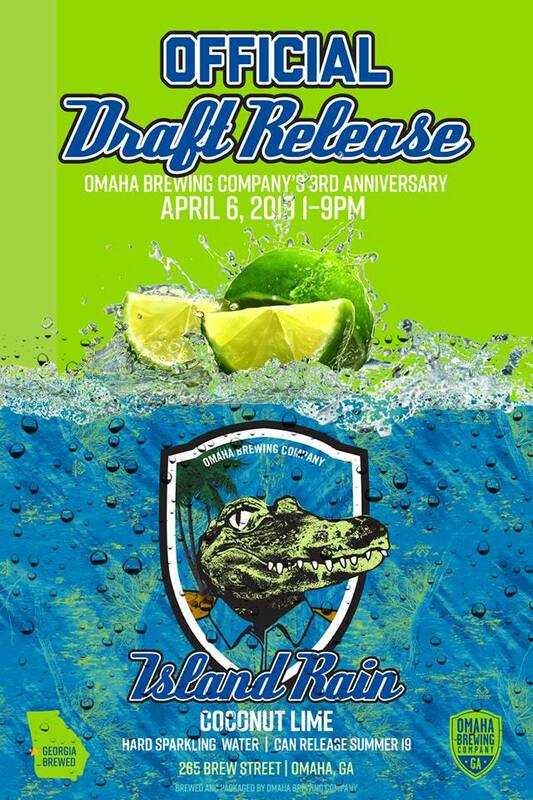 Island Rain has been a project of Omaha Brewing Company (OBC) for nearly a year, and we're excited to share it with you for the first time on draft at our three-year anniversary celebration this Saturday - April 6th! A hard-sparkling water filled with fresh coconut and lime flavors, pouring clear and effervescent. Low calorie, gluten free, no carbs, no sugar and all the flavor. Look for the official can release in the coming months.